A bio-degradable, concentrate solution that removes oil, grease and dirt which after application can be washed away through domestic drainage with sufficient clean water. 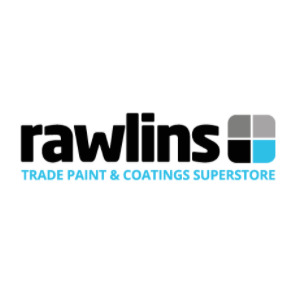 Can be diluted up to 20:1 with water for the effective cleaning of aged coatings, bare substrates or Plastisol sheeting prior to recoating with 901 Cladding Paint, 902 HD Cladding Paint or 903 Cladding Primer. International Interplus 614 is a single component, water based rust remover gel, specifically designed to remove tightly adhering light to medium rust deposits from metallic substrates prior to repainting with approved maintenance coatings. 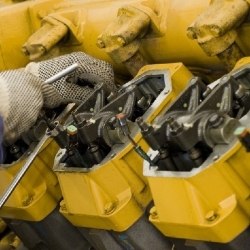 International Interplus 546 is a single component solvent based cleaner/degreaser, which is specifically designed to remove surface contamination such as oil, grease, dirt and soot from metallic and coated substrates as part of a maintenance program. 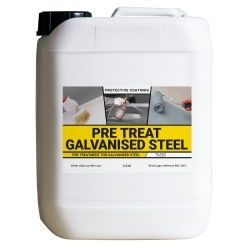 International Interprime 160 is a phosphoric acid based mordant solution for treating galvanised steel. 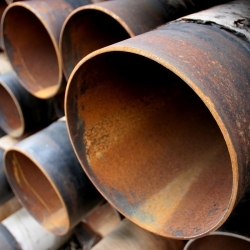 International Interprime 160 is for the chemical pretreatment of galvanised steel prior to the application of protective coating systems, in order to ensure good adhesion where blasting or abrasion is not possible. 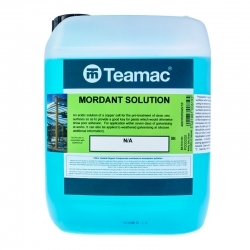 Teamac Mordant Solution (T Wash) is a pre-treatment for new galvanised steel to ensure adhesion of subsequent coatings. 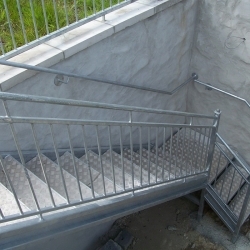 Satisfactory treatment will be shown by a colour change to dark grey throughout the whole surface. Cromadex 678 Spirit Wipe is formulated to remove all traces of oil and grease from metal surfaces prior to painting. Recommended for manual cleaning where vapour degreasing is not suitable, product is supplied ready for use. 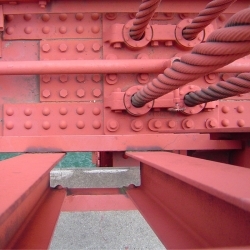 International Interplus 634 is specifically designed to remove tightly adhering coating residues from metallic substrates prior to repainting with approved maintenance coatings. 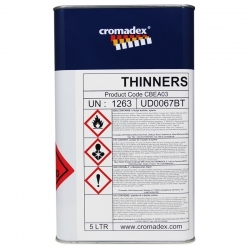 Coating residues include conventional epoxies, polyurethanes, alkyds, acrylics and water borne coatings.